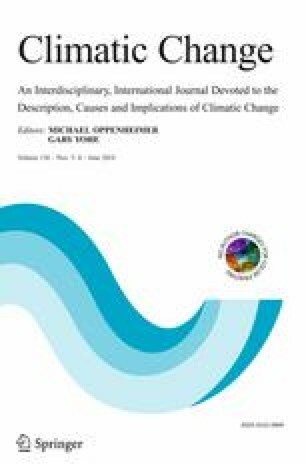 Climate change and its effects on the hydrologic regime of the Amazon basin can impact biogeochemical processes, transportation, flood vulnerability, fisheries and hydropower generation. We examined projections of climate change on discharge and inundation extent in the Amazon basin using the regional hydrological model MGB-IPH with 1-dimensional river hydraulic and water storage simulation in floodplains. Future projections (2070–2099) were obtained from five GCMs from IPCC’s Fifth Assessment Report CMIP5. Climate projections have uncertainty and results from different climate models did not agree in total Amazon flooded area or discharge anomalies along the main stem river. Overall, model runs agree better with wetter (drier) conditions over western (eastern) Amazon. Results indicate that increased mean and maximum river discharge for large rivers draining the Andes in the northwest contributes to increased mean and maximum discharge and inundation extent over Peruvian floodplains and Solimões River (annual mean-max: +9 % - +18.3 %) in western Amazonia. Decreased river discharges (mostly dry season) are projected for eastern basins, and decreased inundation extent at low water (annual min) in the central (−15.9 %) and lower Amazon (−4.4 %). The online version of this article (doi: 10.1007/s10584-016-1640-2) contains supplementary material, which is available to authorized users. The synthetic work for this paper was supported by the Science for Nature and People (SNAP) sponsored by the National Center for Ecological Analysis and Synthesis (NCEAS), Wildlife Conservation Society (WCS) and the Nature Conservancy (TNC). SNAP funding was provided by the David and Lucile Packard Foundation (Grant # 2013-38757 & #2014-39828), Ward Woods (Grant # 309519), WCS and TNC. Also we thank the editor and reviewers for comments that improved this paper andWalter Collischonn for advice.